Why Do We Fight or Avoid After Betrayal? 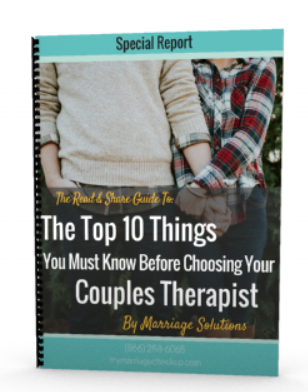 Listed below are 6 components that spouses who have been betrayed typically experience that keeps them arguing or avoiding after betrayal. I've outlined this to help you understand yourself and your spouse. Realize you are not alone in what you are both experiencing. The silence or emotional, and physical distance of the betrayer. Obviously the betrayer being mean and rude. Trust being broken again, even in smaller matters. A lot of guessing is going on to try to understand the betrayer. Having to guess is keeping the betrayer alert, hyper-vigilant, and creates a feeling like their is no safety in the marriage, “So I must keep protecting myself,” which only feeds more into the negative cycle. Their heart really isn’t in this to help me heal, they are only here for _______. I don’t think he/she is honest, so I can’t let my guard down. I don’t get understand why they won’t talk to me about this when it makes me feel so much better. He/She is just making excuses, they were able to do what I’m asking for their affair partner. He/She doesn’t want to be with me. I only have them back from a rebound. I don’t want to be stupid or humiliated again and believe them so easily. I don’t want to go back to that place of pain, so I need to know its safe before I let my defenses down. I can’t trust them right now even though I really want too. I’m I stupid for being here? I’m all alone in trying to deal with this pain, I nobody really knows what this is like until they’ve gone through this. I don’t want to get my hopes up again just to later be disappointed. Withdrawal (by being stand offish). Because I don’t know if I can trust him/her I hold back what I feel many times. Worried/Anxiety - feeling like something bad is about to happen. Sadness - This isn’t what I expected my life to be. I didn’t expect this to happen to us. Honesty - it takes out the guess work, and helps the betrayer become more predictable. It is when the betrayer is perceived to be unpredictable that most negative cycles develop for the injured spouse. Constant reassurance - hugs, kisses, holding my hand. Just be close to me. I need you to talk to me - ask me how I feeling, ask me how my day is, Call me, text me, etc. I need you to talk to me about the affair. I feel like you are more predictable. It lowers my need to protect myself because I feel more secure with you. I need to see him/her remorseful. Hiding your remorse from me doesn’t help me heal. Why Is Affair Recovery So Hard?